1) What are your own origins, Gabriel? I grew up in West Los Angeles, and writing was my first passion. At a young age I started writing stories, screenplays, stage plays, and even had the chance to direct a few of my short plays while studying theater at High School. 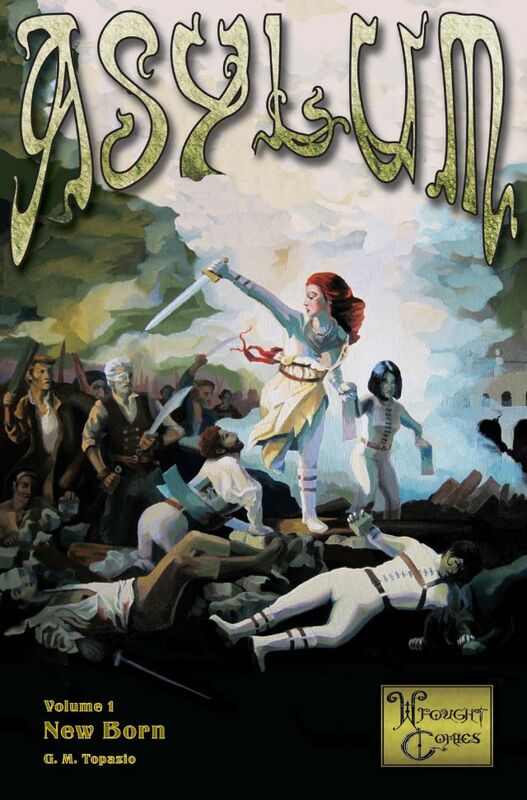 Then, in college, I studied History of Art and Visual Culture with a minor in Literature at the University of California, Santa Cruz, which is when I began developing my first comic book, "Asylum". I had always enjoyed drawing superheroes, even made up my own when I was much younger, but I never took drawing as seriously as writing. As I was developing the comic, I began looking for artists. I did some work with some really talented artists, but nobody was able to commit to a book so I decided to start honing my drawing skills so I could learn to draw my own comics. I began with short, simple comics, worked my way up to full issue, 24 page stories, and eventually when I felt ready to tackle "Asylum", I had the story all laid out for me and was eager to get it made! 2) What inspired you to create the ‘Wrought Comics’ publishing house? One of the main reasons I decided to create Wrought Comics is because I have put so much of myself into "Asylum", and it would make me so sad if I was to sell it to a larger company and be unable to finish telling the story due to cancellation or changes of an editor. I'm inspired by stories that step outside of tradition, trailblazing stories like Twin Peaks or Sandman that changed the way people thought of their mediums. I strive to create comics that aren't easily compared to those which have come before, and I wanted to prioritize the integrity of the story over the commodity or profitability of it. I do love collaboration, and would jump at the chance to write for other companies, but I also really enjoy the creative freedom that comes with creating your own work. 3) Can you briefly tell us about some of your titles? Wrought Comics' flagship title, "Asylum", is a dark fantasy comic that centers around Glass Asylum, which parallels an alternate dystopian universe called The Ring, where the patients have powers and abilities that correspond to their mental health issues. For example, we have a character who has a phobia of electricity, and in The Ring, he can generate electricity, even shoot bolts of lightning. Another character struggles with paranoid schizophrenia, too frightened to speak to most people, so in The Ring, she can generate shields to protect herself. The Ring has rampant social disparity, where most people live in fear of the mysterious tyrannical deity known only as Father. Father commands an army of super-powered acolytes known as Divine Children, who, in "our" world, are the patients of Glass Asylum. The story centers around a group of Divine Children who begin to question Father's power and ruthless methods. 4) What song would you say best represents your books and why? "Machine Gun" by Portishead. Though I don't often include guns in my comics, I like that this song is about an internal struggle to cope with negative feelings and come to terms with your own reflection. It feels very personal, and very much about self-exploration -- which are themes I like to tackle in my writing. I also like that the production is simple, but still stands out and grabs your attention, like a good story should. It is not too complicated, but still has originality. 5) If you could get a celebrity – either living or dead – to promote your wares, who would you choose, and why would you want to choose this particular person? Neil Gaiman. 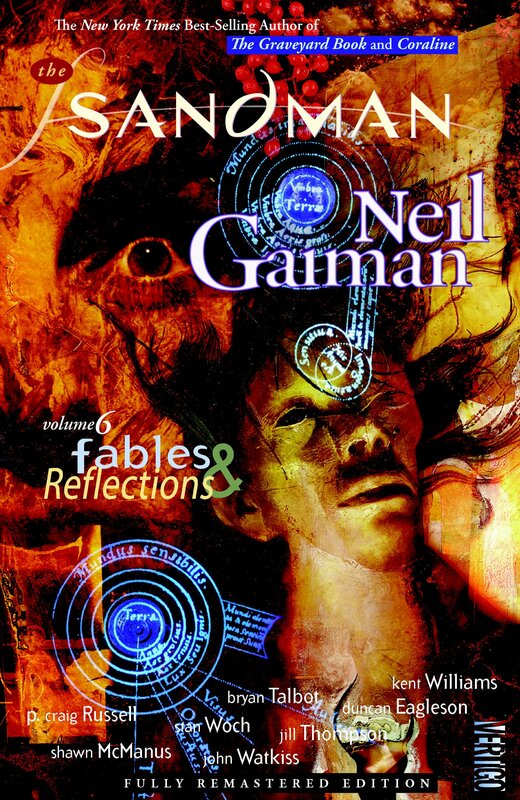 "The Sandman" is one of the comics that made me want to make my own, so he is such an inspiration to me, and an icon, not just in comics, but in literature. 6) What have you learnt about yourself through this endeavour? I have learned that I am very fortunate to have a creative outlet that keeps me both productive, and happy. Also, that sometimes it is in your best interest to swallow your pride and accept that advice that might be hard to take! 7) During your time in this field, what is the one thing that has kept you in good stead? I work mostly by myself, and usually I am very good at motivating myself to keep moving forward. But I have some amazing people in my life who are always there to support me in the moments when I really doubt myself. I mostly promote my work at local, San Francisco area comic conventions, which can be really amazing. But you are putting yourself out on a marketplace, so it can be intimidating and having friends, or returning customers, come and show their support can make all the difference. My cover artist, Lauren Day Benson, is such an inspiration to me, as she helps me stay true to myself as an artist. She brings a perspective that is different from traditional comic book storytelling, which I really value in my work, I want my work to be different from what anybody else is doing. Also, my very dear friend, Lauren Silagyi, has been reading and editing my work since high school, and she still helps edit every issue, and even co-wrote an issue with me! She helps me out with everything: writing, promotion, bookkeeping, moral support. Whenever I need help or a sounding board for ideas, she is my first call. And, of course, my partner, who is always supportive and understanding when I have to decline socializing, or hanging out in order to get work done (which is often). Without them, and their constant support and motivation, Wrought Comics would not be what it is. 8) If ‘WC’ had a motto, what would it be? "Small time publisher, with big time dreamworlds". 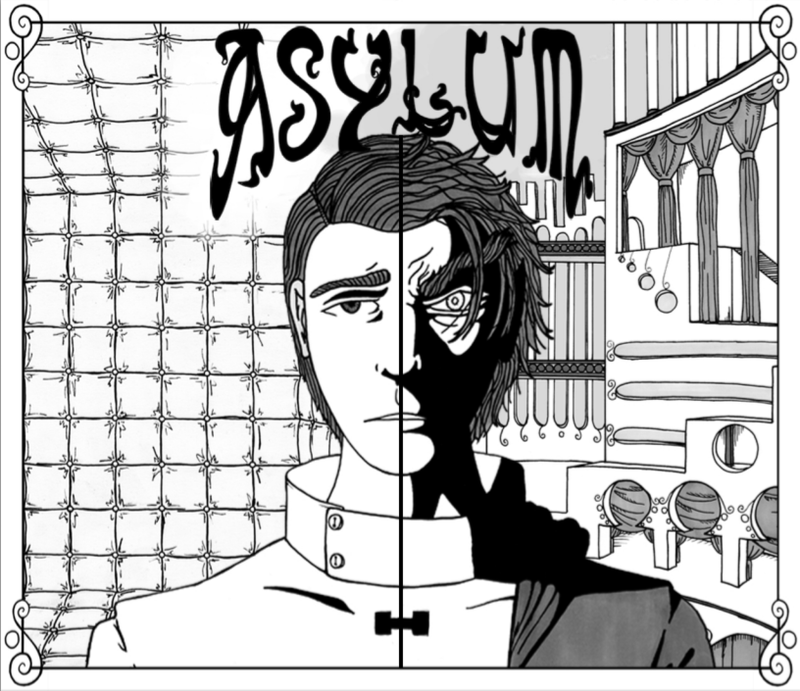 And on that note, dear reader, I'd like to thank Gabriel for telling us about his comic book, Asylum, before encouraging you to check out the official Wrought Comics facebook and twitter pages.